Editor's Note: “Organically and inorganically, we will continue the expansion in existing markets and increasing the presence in growing markets and new territories, we will also continue to develop our range of products and solutions.” said Eric van Innis, CEO at Sapec Agro Business, in a recent interview with AgroPages. He also shared his views on the overall situation of Sapec Agro Business, target markets, competitive strength, business model, as well as future development planning etc. Q1. Who is Sapec Agro Business and what makes Sapec Agro Business different? 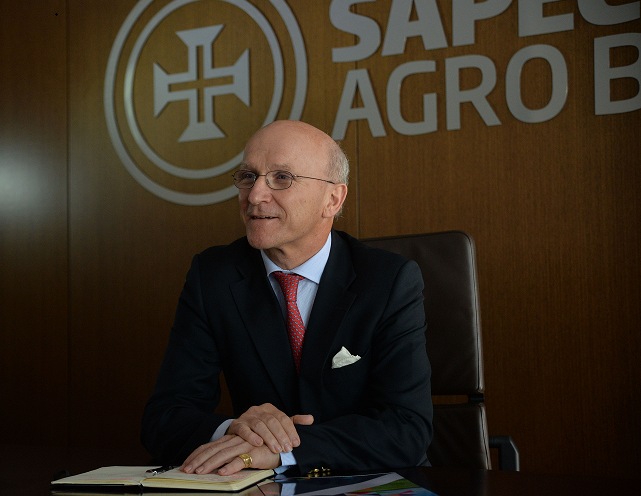 Through differentiated Specialty Crop Nutrition (SCN) and customized off-patent Crop Protection (CP) products, Sapec Agro Business, headquartered in Portugal, provides and develops agricultural solutions for better and healthier crop lifecycles. Sapec Agro Business supplies high-value markets that display solid long-term fundamentals underpinned by global megatrends. • Sapec Agro SCN is a global leader in the development, production and distribution of special plant nutrients that has its primary focus on high margin micronutrients and bio stimulants. Sapec Agro SCN is recognized worldwide for being at the forefront of a growing market. High quality products, qualified human resources and low input technology distinguish the company. The company’s growth since its establishment has been remarkable and continuous, and recently, two companies were acquired to reinforce the portfolio. Nowadays, the company that mainly represents our nutrition activity is one of the largest in the sector. • Sapec Agro CP develops, produces and supplies differentiated off-patent products to preserve and defend agricultural crops from challenges. The represented company is a leader in the Iberian market and it’s growing in other south European countries. Our companies stand out through the formulation capabilities and regulatory expertise, assets that permit early market moves and IP protection. These advantages are cemented with a refined go-to-market platform that include a large technical sales team (of agronomists) entrenched in the field with growers. Our regulatory expertise in Europe allows us to look at other horizons; we are starting sales in Brazil and also in other countries where the regulatory processes were already launched. SCN and CP businesses focus on high value specialty crops such as fruits, vegetables, vines, flowers and intensive row crops where growers require tailored solutions to maximize yields and ROIC. Both businesses are focused on innovation and development (“I&D”), offering in-house solutions that are customized to large and small market competitors. Q2. What are the target markets and the business modes of Sapec Agro CP and Sapec Agro SCN respectively? Sapec Agro CP is a leading developer and manufacturer of differentiated CP products including fungicides, herbicides and insecticides. Sapec Agro CP focuses on specialty crop markets (such as fruits, vegetables, vines and intensive row crops) using in-house formulated products that are customized to the company’s target crops and geographies. I&D, product formulation and registration are core to the Sapec Agro Business strategy and success. Value is created through the development of differentiated products via extensive in-house I&D on AIs. Sapec Agro Business develops new formulations bespoke to its customer needs, registering them efficiently with regulators and bringing them to the market. Sapec Agro CP is a leader in the Iberian market, being the #1 player in Portugal (overall market leadership), and one of the top four players in Spain (although the undisputed #1 generics player). The company is using its market-leading Iberian foundation to expand internationally. Due to European registration, zonal regulations and the "portability" of its large AI portfolio, Sapec Agro can move into other southern European countries such as France, Italy and Greece, and is proactively doing so. The similar agro-climatic conditions of these countries are recognized as an opportunity for Sapec Agro Business that developed strong knowledge in the most common crops of this market. Simultaneously, the company is growing in other areas, having recently expanded into Brazil with investment in registrations that use transferable information from European dossiers. Sapec Agro CP has demonstrated consistent growth over the financial crisis and also over one of the main climatic challenges: the worst rain droughts in Iberian history (2017-2018), thereby demonstrating exceptional resilience to external adversities. Sapec Agro SCN offers a highly diversified (and expanding) product portfolio currently comprising 38 ranges and 201 products. Sapec Agro SCN’s product portfolio is significantly more diversified than that of its peers. Growers face very different challenges depending on their local climate, soil composition and crops. The Sapec Agro Business broad portfolio has been developed to target particular crops and address specific grower needs. This allows growers to think of Tradecorp as a “one-stop-shop” for their SCN needs as opposed to a fragmented SCN market. Furthermore, Sapec Agro Business can leverage off its established brands and reputation for quality when bringing new products to the market. Sapec Agro SCN brand (Tradecorp) has a reputation for innovative capabilities, high quality products, technical agronomic service and flexibility in the product delivery in its markets. Tradecorp was the first brand to introduce the plants' anti-stress concept in the early 2000s. It is recognized as a brand with a successful history of innovation and is one of the first in its industry. The sales team of both businesses, as well as the Global Knowledge Management System, are used to feed new ideas for product development via communicating the grower’s needs; then the regulatory teams assess the viability of the registration and the chemical laboratory determines the commercial viability considering costs. After an industrial trial, the marketing and I&D managers provide feedback, estimate costs and, if viable, launch a marketing campaign. Q3. In 2017, the Chinese government implemented more stringent environmental regulations toward the agchem industry, which resulted in more tight supply and raw material scarcity. What impact do you think will it have on your company ? In your vision, is it possible that India will become more competitive and surpass China in the pesticide market? Raw material costs have shown low levels of volatility in the past, with the exception of short periods of supply disruption due to exchange rate fluctuations or temporary shutdowns due to environmental restrictions. Sapec Agro Business has long and intimate relationships with its main suppliers and, in many cases, long-term sourcing contracts; this facilitates the anticipation on price and sourcing swings, if any. CP raw material acquisition is largely conducted twice a year ahead of sales campaigns, which allows Sapec Agro Business to incorporate any changes in COGS prices into product price listings. Most AIs are sourced in China and India across a variety of suppliers. Nevertheless, the company consistently maintains two to three suppliers per AI to minimize operational risk. India is already becoming an alternative source to China; due to vertical integration needs, it will take some time to be considered as an absolute substitute. Q4. 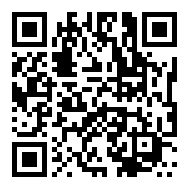 Could you please introduce the Sapec Agro Business competition advantages and main market layout? Q5. Could you please describe the development planning and the future vision of your company? • Develop new products and solutions; expand existing products into new geographies , organically and inorganically.